We had this client who had recently purchased this gorgeous property in raby bay cleavland. 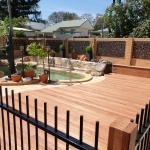 Unfortunately after he a purchased he had realized that his timber deck and hand rail where not complient and had not been built to withstand elements of queensland land and being next to salt water bay. 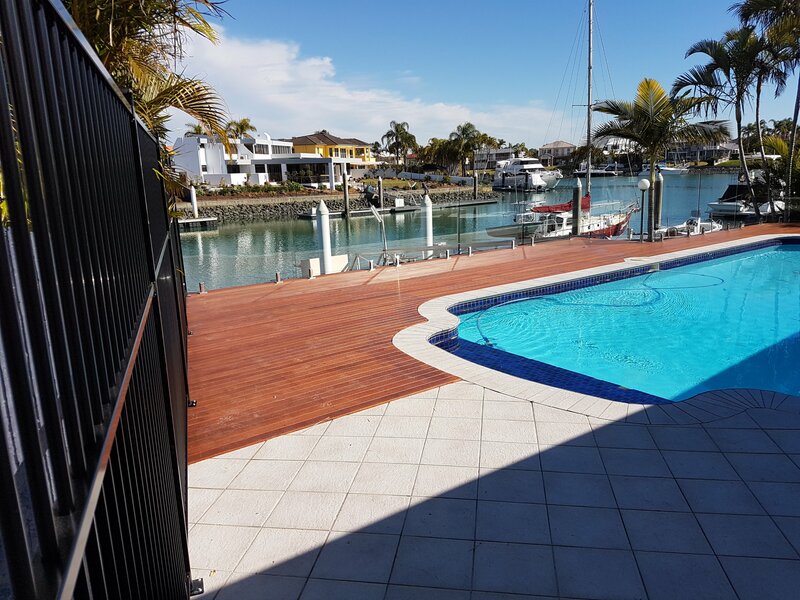 We at bb decking worked with our client and his headline to remove all the old deck boards and replace and repaired any defected frame and bringing his old weathered deck back to thi100mms georgous new merbau deck with ppooframeless glass balustrade and custom made 1800mm poweder coat pool fence to make his pool area fully pool safety compliant.